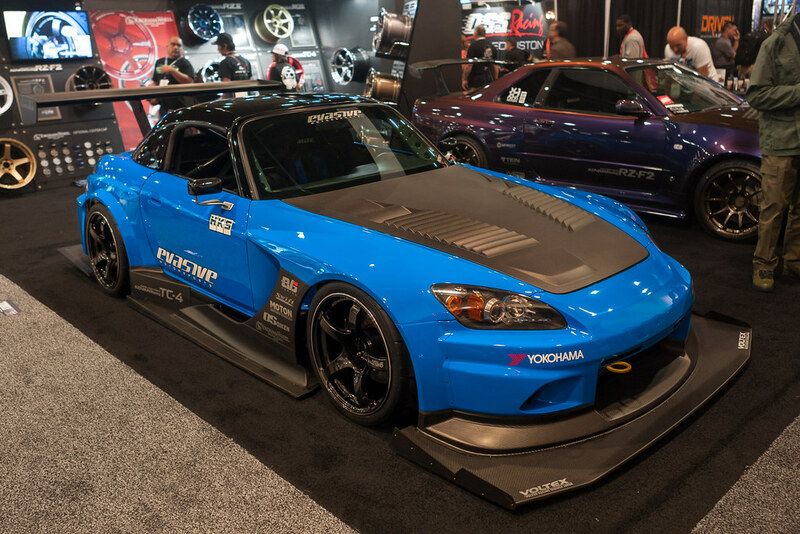 Back in 2015, I had a chance to see Evasive’s first version of the Time Attack Smurf with the Voltex aero love, HKS supercharger, gorgeous roll cage, it was just a perfect S2000 build/goals. How could it get better? 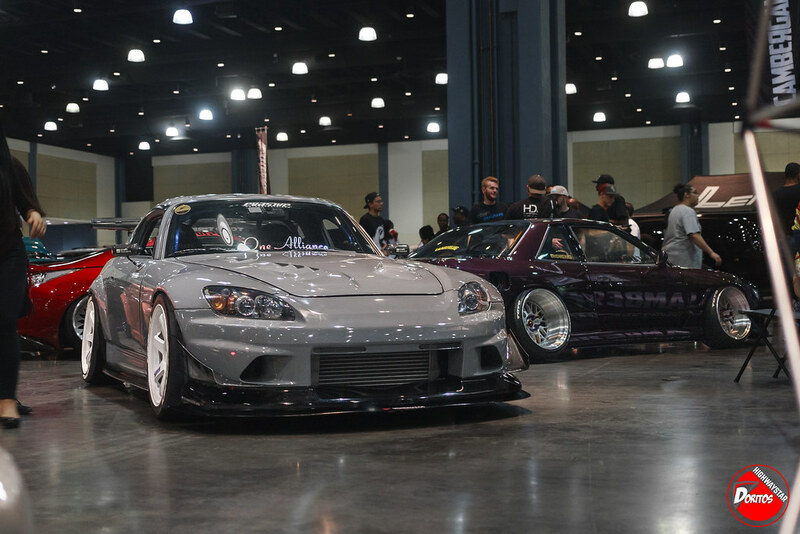 How can someone top a perfect balance of looks and speed to an S2000. Evasive has been teasing us for a few weeks that Voltex Racing newest aero kit will come to the US for its SEMA reveal. The above video came out during SEMA week and it just gave me goosebumps on what to expect when seeing it in person. We finally got to the booth and the Smurf did not disappoint. 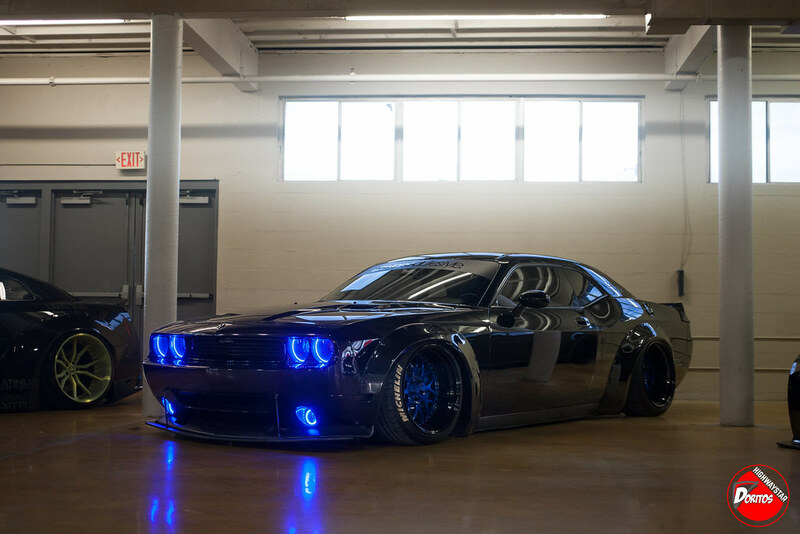 It’s not a widebody kit, its a hugeeeebody kit. It’s insane how wide the new Voltex Racing kit is. The front splitter, the fenders, the spoiler, oh man oh man, after snapping pictures I just stopped and looked at it more, seeing the vents in the fenders, the bumps and shape of the rear quarter panels, it just oozes fast on the track. Good thing it’s already equipped with a TODA 2.3L stroker engine, HKS SC kit, OS Giken 7speed sequential trans, this will scoot. Enough talking, enjoy the pictures and show some love. More SEMA coverage coming throughout the month! The Eibach Meet’s have always been an iconic meet back in sunny SoCal. Dating back to 2004, the meet has almost always been hosted at Eibach’s own company grounds. With every successful year the Eibach crew achieved the cars kept getting better and better. I sadly missed the meet when I lived in Cali as I was heading to FL that year. Thankfully someone at Eibach decided to bring that energy and excitement in the Honda community to the East Coast. 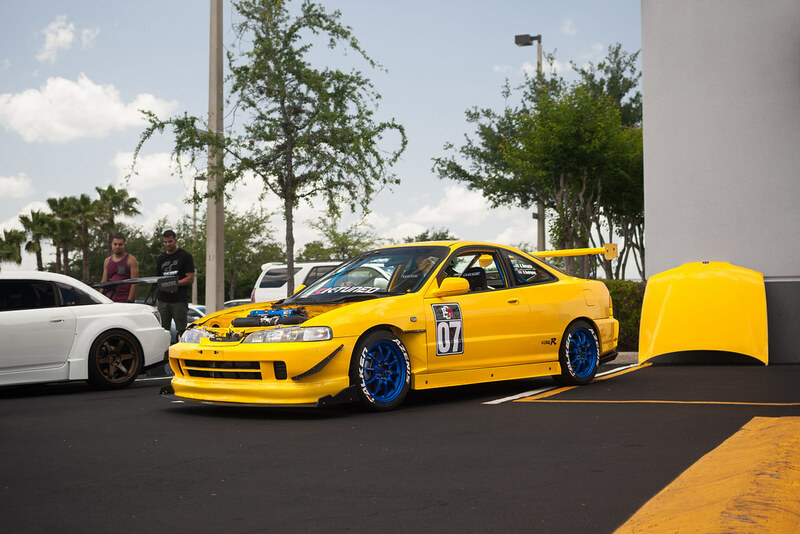 With the first event held last year in Orlando, Fl at the UTI Campus, it was a huge success. I sadly didn’t make it to last year’s event because I was in the hospital. This year thankfully my liver and I weren’t dying so I polished up the old girl, packed the cooler, chairs, and gf to our first Eibach Meet. Plenty of clean Honda and Acura’s from old to newest were there. I’m proud of our FL Honda scene here, we have much to learn from the mecca of the Cali scene, but we’re heading to the right direction. I’ll let the pictures do the rest of the talking. Hey everyone, been awhile…again…I’m glad to be back to show off something different than what I’m use to. 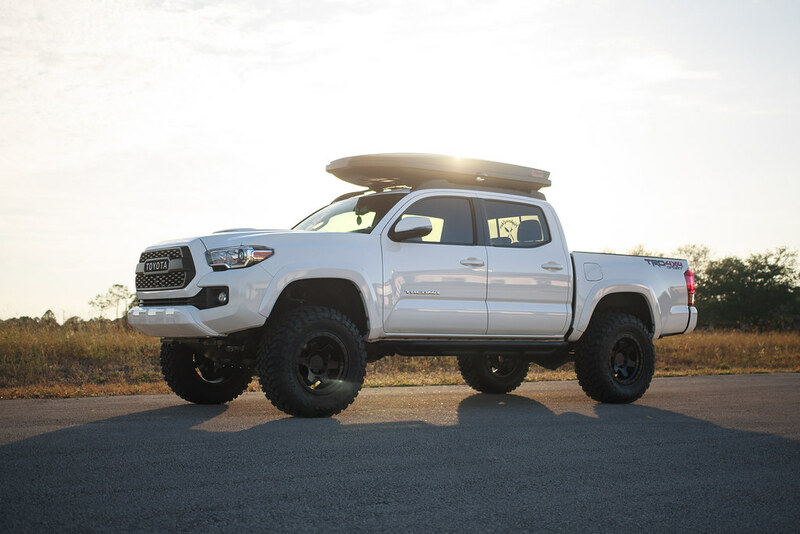 This is my girlfriend’s newly modded 2017 Toyota Tacoma TRD-Sport 4×4 overlanding hotness. She’s been wanting to do something on her Tacoma for awhile and with the start of her employment at Gatto’s Tires Service she got some great discounts on some parts. After much research and putting what her wants and needs are she settled on Rough Country 4 inch lift. We had to comb through hundreds of threads on forums on people’s opinion on them. It’s more of a mixed bag on people’s reaction, it was hard to figure out from people who do off-roading every weekend that needs a better setup to the person that just wants the tougher look of a lifted truck without breaking the bank. This setup from Rough Country works for what she needs. With that done we looked to wheels and it was pretty easy. She went with Rotiform SIX-OR wheels 17×9 in matte black. We were looking at a set of wheels from Stealth Custom but they only release wheels every 3-4 months and they go out fast! So we’ll pick up a set later down the road but these Rotiform’s are amazing looking on trucks. For tires she ended up with Toyo Tires Open Country M/T in 33s, such an aggressive look and surprisingly not loud on the road. No rubbing, but if we decide to go 35’s we’ll need to do the cab mount chop, but for right now it looks amazing. Till this past Sunday when we were cleaning out the garage I saw the roof box and decided to see how it will look on the Taco. The girlfriend was not pleased with my suggestion but I as soon as I was done mounting it to the roof, the clouds parted and a ray of golden sunshine came from the heavens and it looks overlandmazing! Enjoy the pictures everyone and I hope you like the new truck to our growing stable. 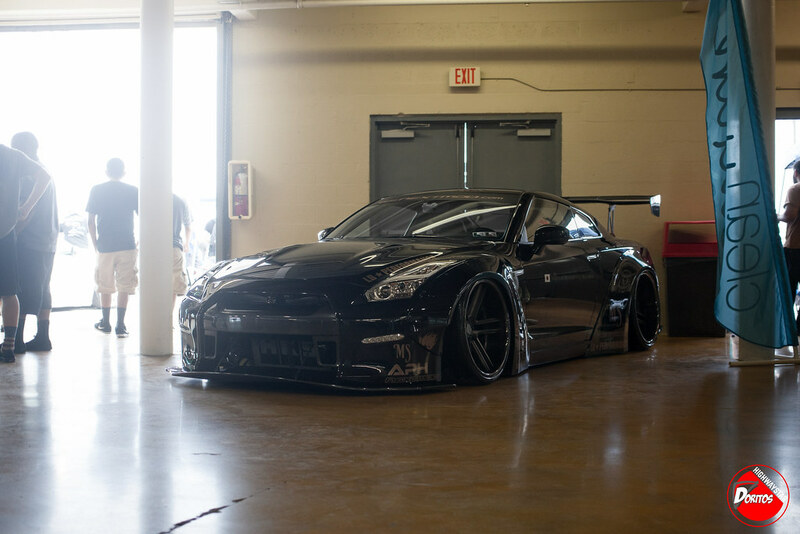 What a way to end the year with an awesome show like Wekfest. This is my 2nd year attending and plenty of amazing builds, with a lot of them seeing for the first time. 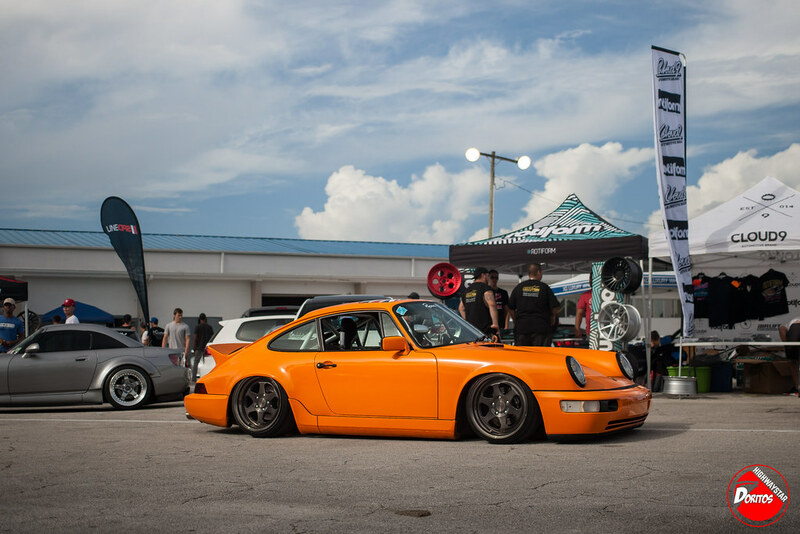 With this show concentrating more on the builds you definitely saw a much higher caliber of builds than most shows that Florida hosts. A lot of people bring their A game to this, with plenty of unique and creative takes on cars. Not going to bore you with the details, so i’ll let my photos speak for themselves. I guess we’ll see what 2018 holds for me, The Rolex is up in the air for me right now, hopefully I can get in again but it’s not looking in my favor. Thank you so much everyone that has peeked through my post and photos, it does mean a lot. Till next time. It’s been a quite year on the photography side of my life. I’ve had lots of personal events happen to me throughout the year, not to go too much into detail but I almost died do to some issues with my liver. But here I am, alive, strong, and ready to get back to what I love doing. For this year’s Simply Clean it would be 11 months since I’ve done anything with my camera. Had to break in the new year with a good piece of glass to rent. I’ve always wanted to try out Sigma’s Art Series Lenses, so I picked up their 35mm Art Lens and wow it is amazing! I wish I had the USB lens dock to further calibrate the lens to my 1Dmark3 but it worked really well out side of the box. Sadly the weather didn’t play 100% so it kept wanting to focus on the clouds on the paint of the vehicles. Plus being almost a year out of practice it took a few dozen shots to get back into groove of things. The event itself though was amazing, I think this year I saw more friends than ever. I can’t thank Nickoli enough for creating this event and making it better and better every year. Since the first event I always felt I was home surrounded by friends with one passion. Enough of me blabbing, expect one more coverage next month for Wekfest. Again, enjoy the snaps! 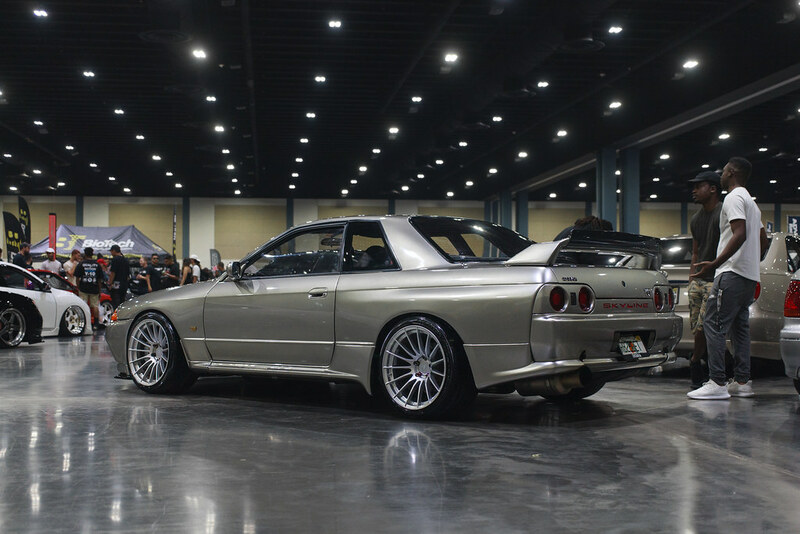 Wekfest has been a big name for car show events for a number of years now. Most of you have seen coverages of their San Francisco / San Jose event and has seen some amazing car builds the west coast has to offer. 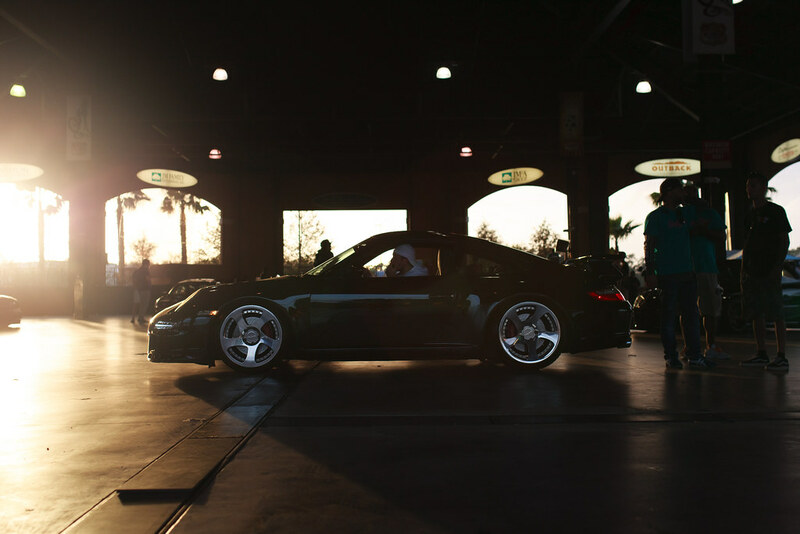 Wekfest back in 2011 started a USA tour to bring true car enthusiast together under one roof and show off actual full car builds rather than seeing wheels, bags, and calling it a day. I was honored by the Wekfest staff to show off my own build at the event. It’s far from a full build from what I saw at the event but it is slowly getting there. Lots of mixture of vehicles the Wekfest staff choose for the event and I think it was a great way to end the year. Hopefully I caught enough of the show so you guys can see how many awesome builds us East Coast enthusiasts have brewing. Till next time guys which I think will be for Rolex 2017. Enjoy the pictures and show some love like always. It’s been awhile everyone! Well, to the one or two who still follow this site. I don’t blame you, but thank you for still sticking around. Hopefully I’ll be updating this a little more as there are a few events coming up. 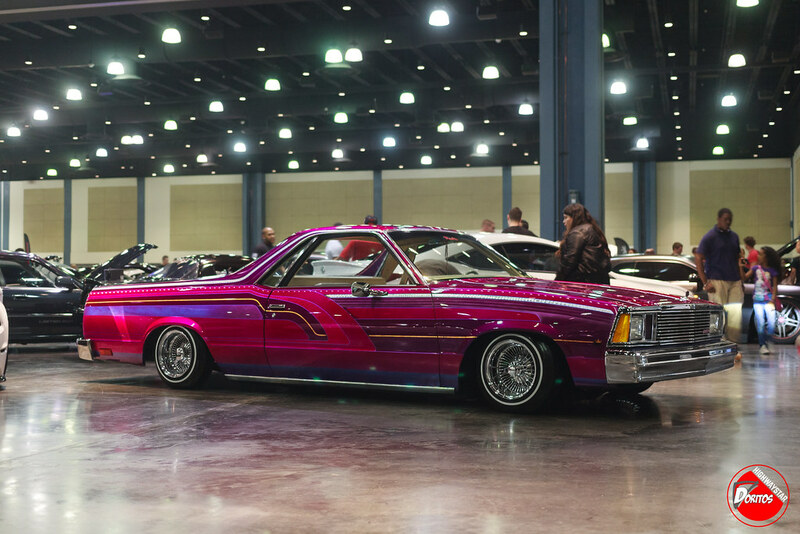 Well this past weekend I attended this year’s Clean Culture Meetup at the West Palm Beach convention center. Quite a bit different from the other events this year so far. it was different as I didn’t have to wake up at 6am to get ready and drive a few hours out to the meet location. It started at a sun high’s afternoon at 3pm, so I took a nice morning to check over the car and then at noon I set off to SoFL. Thankfully as I just got off the Florida Turnpike my good friend Sparky from Cloud9ab just got there as well. I pulled the good ole I know so-n-so inside to the front person at the gate to go on through. It was a good meet overall, it’s been a few months since my last car meetup thing, so it was good to get out clean the ole girl and show off for a bit. Enjoy the set everyone!